Good evening everyone, my name is Jarrod Underdown. 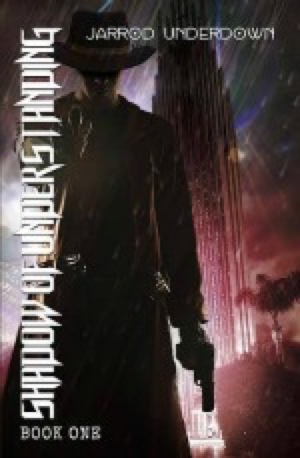 My first book, Shadow of Understanding, came out in June, 2015. 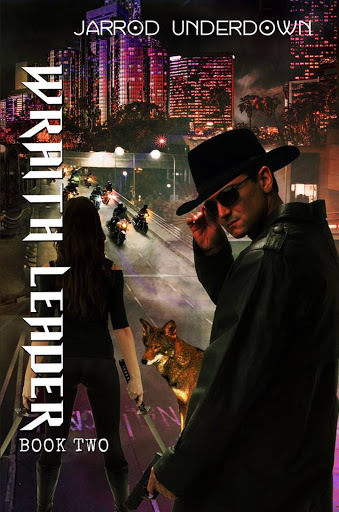 Book#2, Wraith Leader, game out on 04/06/2016. This story continues the adventures of my main character, Gabriel McBane. I started my first novel over twelve years ago. I was partly inspired to write this book by stories from my father. Both my parents were in the military as I grew up and after his time in, he joined the Los Angeles Sheriff's Dept. He was a detective and did undercover work in Southern California. His stories on the job helped start me on this path. I am looking to do a co-authored book in late Summer, 2016, with Damian J Clark. We will be integrating our main characters along with support cast in a major story line. The name of the book will be, The Silent Abyss. 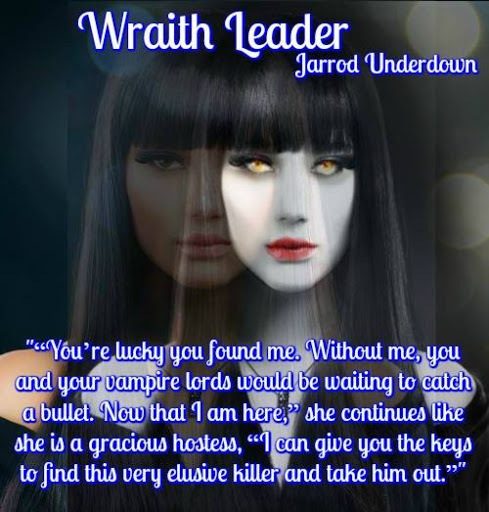 Jarrod Underdown was born in California but moved back and forth to Missouri over the years. He received his degree in Criminal Justice and makes a living as a facilitator. Jarrod makes his home in the Ozarks with his wife, Rosanna and their two children, John and Grace. Military Brat. Student. Athlete. Officer. Murderer. Government Assassin. And now Private Detective. All the roles I have played in my life like an actor on stage. Even my name, Gabriel McBane, is another fictional character. As my vitality begins to dwindle, is the world done with me? With old enemies returning and choices made coming back to haunt me, something I never expected arises from below to show that evil still lurks in our darkest dreams. Having just a shadow of understanding, can I confront the beast and show that even immortals should fear the hunter in the night? "Gabriel," I called above the crackle of the nearby flames. 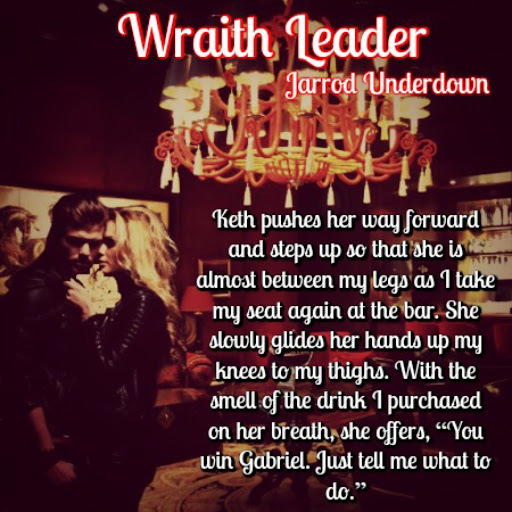 "A master vampire is coming with two other powerful ones, I think he is this group's leader." He nodded his head in understanding as he checked the chamber of his revolver. All the bullets had been fired so he instead pulled out a black semi-automatic pistol. Holding the sword in his right hand, he leveled the pistol in his left and fired off two rounds. Almost in unison, the sound of a rifle from behind us cracked through the air and the damage the bullets caused was clearly visible. I started over a dozen years ago but never got traction until about 20 months ago after reading a draft from a good friend of mine. I thought, "If he can do it, so can I!" I think I felt it once I saw my book on Amazon. Then I knew I did it. Most of my story comes from either modified life events or somewhere hidden in my grey matter. Some of the book experiences are from the time my father worked for the Los Angeles Sheriff department as an undercover officer. Stephen King books like The Gunslinger and R.A. Salvatore are big influences to my writing. As mentioned earlier, Stephen King is a huge influence and so his J.R. Tolkien. Damian J Clark and I are doing a co-authored story right now. I also have plans for book#3 of the Awakened Archives and a horror story novel in mind. I'll keep you posted! I would like to but I'll keep my day job as a facilitator for now. Editing! I am blessed to have good support on that area of my writing. R.A Salvatore is one of my favorite authors. I really enjoy his fantasy novels. He does a great job on describing his heroes and villains. Don't give up and be open to feedback. 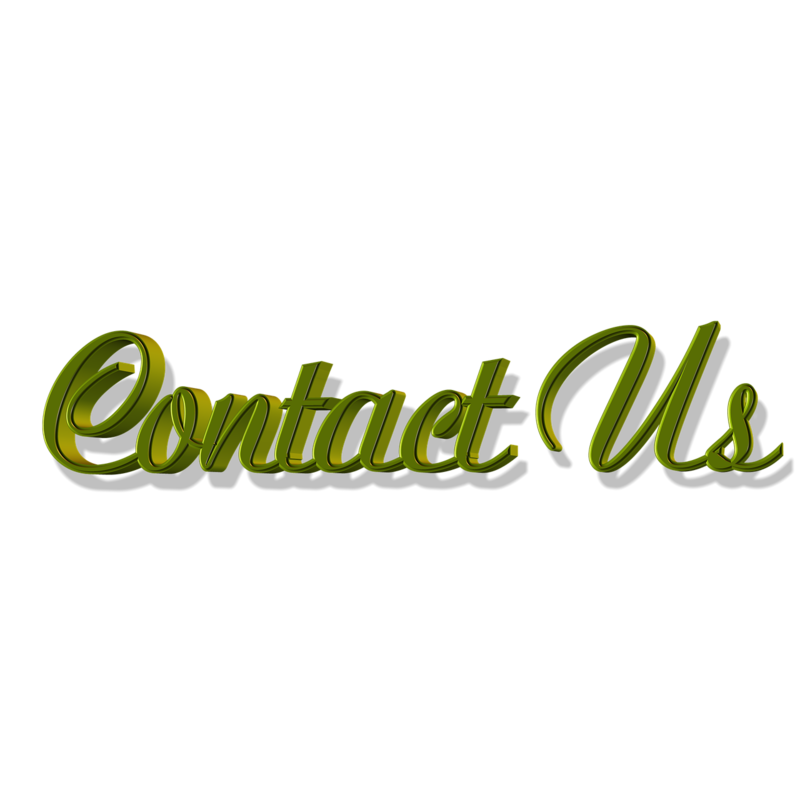 Other writers and readers can really help develop your craft. So far I have two books published. My book one, Shadow of Understanding, pulls at my heart due to the location and origin story. I am pretty excited when I'm about to publish but usually a few cold barley soups help with that! Late at night, when things have settled down. I'd love to hear what they think of my main character, his trials, and how the story makes them feel.